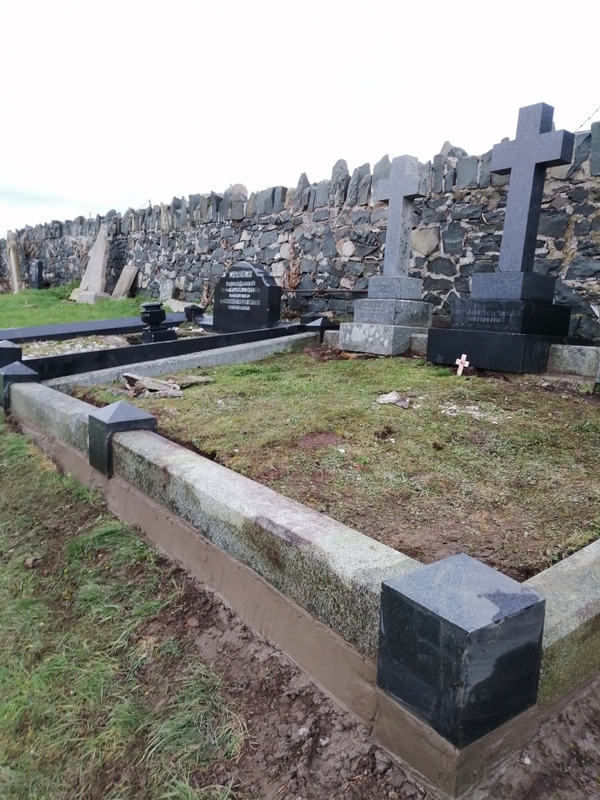 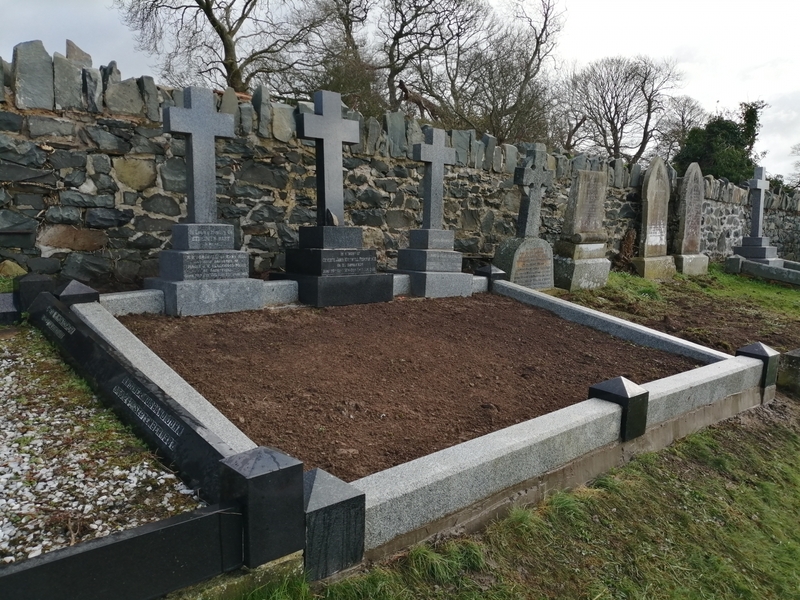 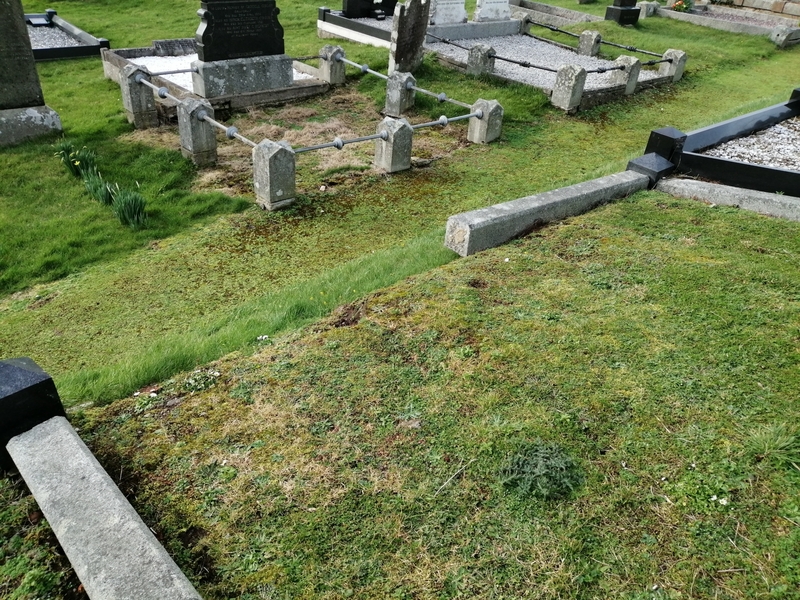 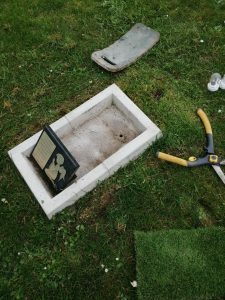 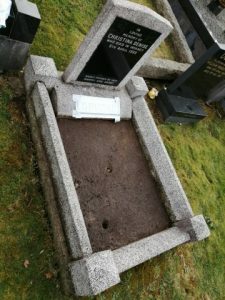 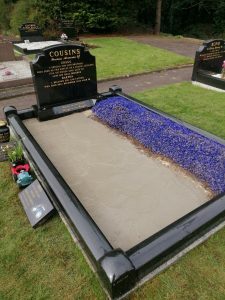 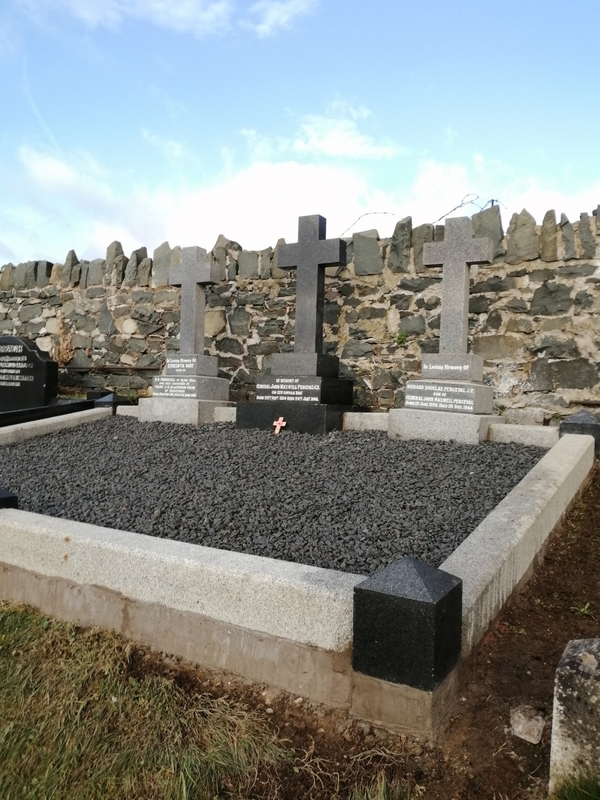 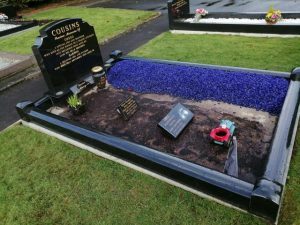 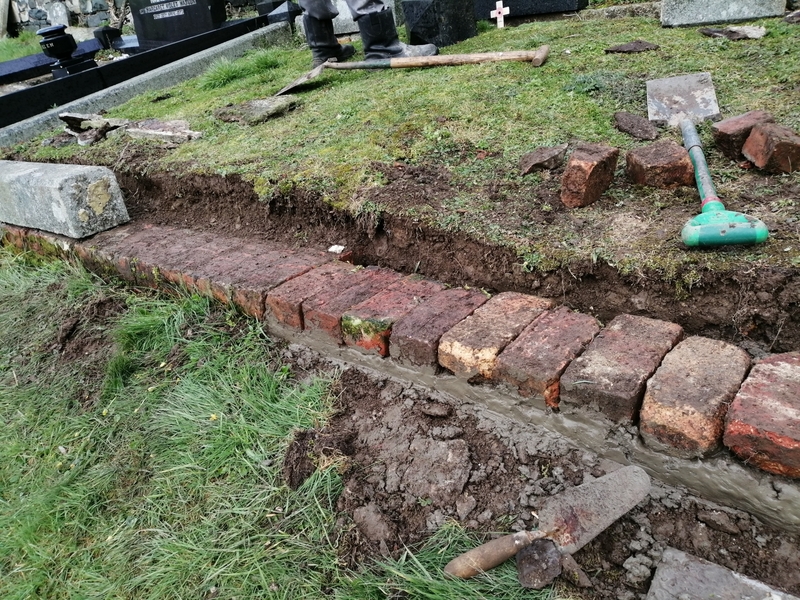 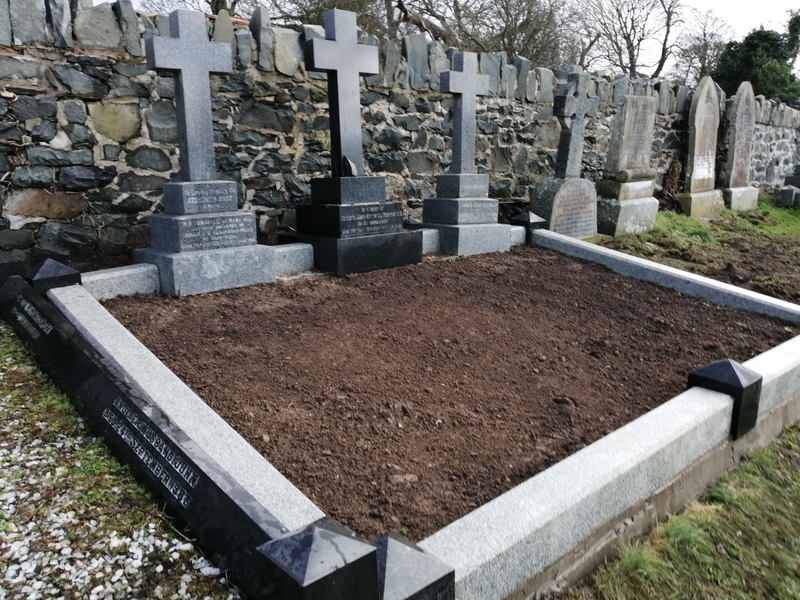 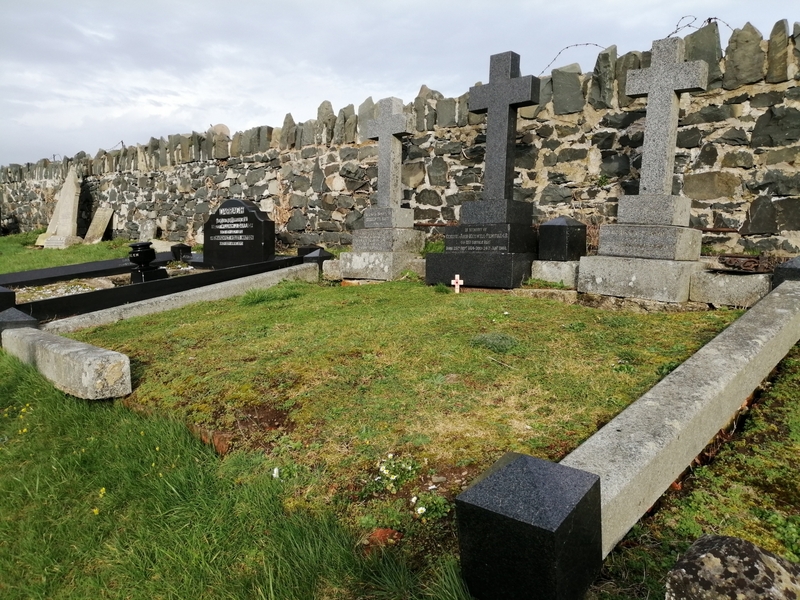 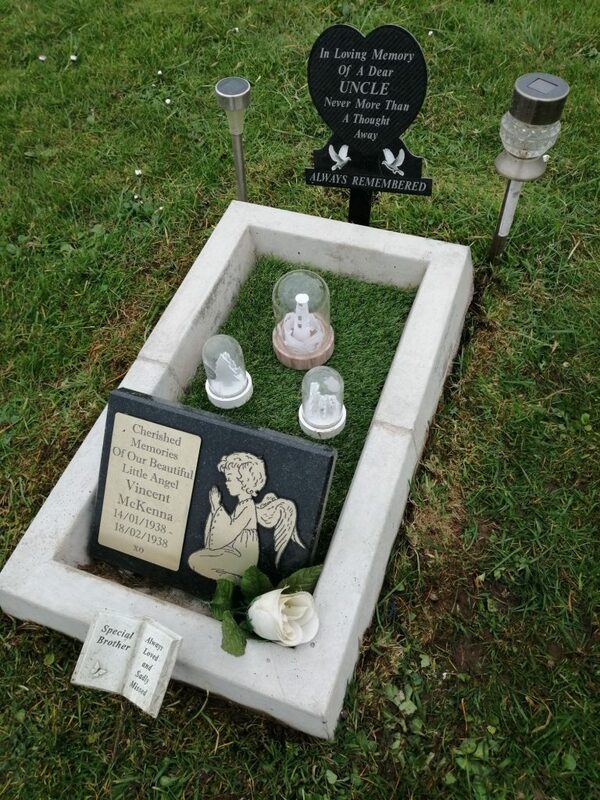 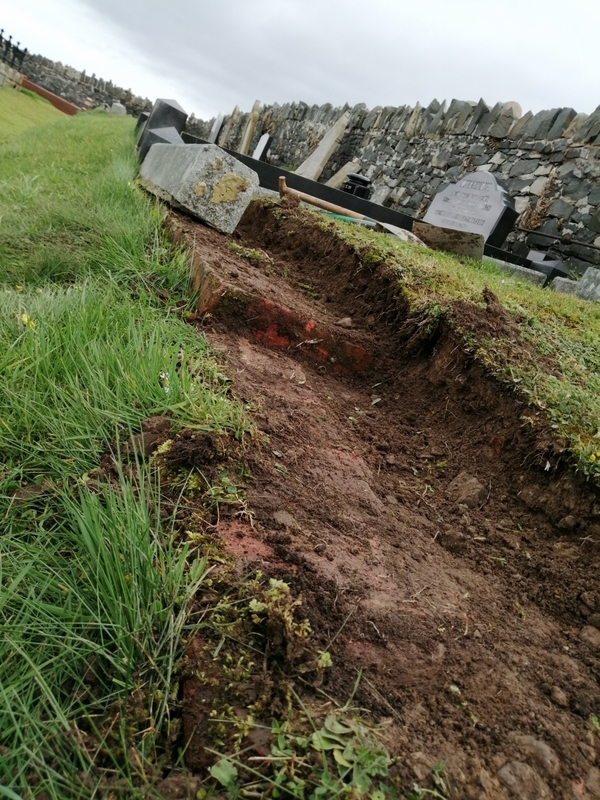 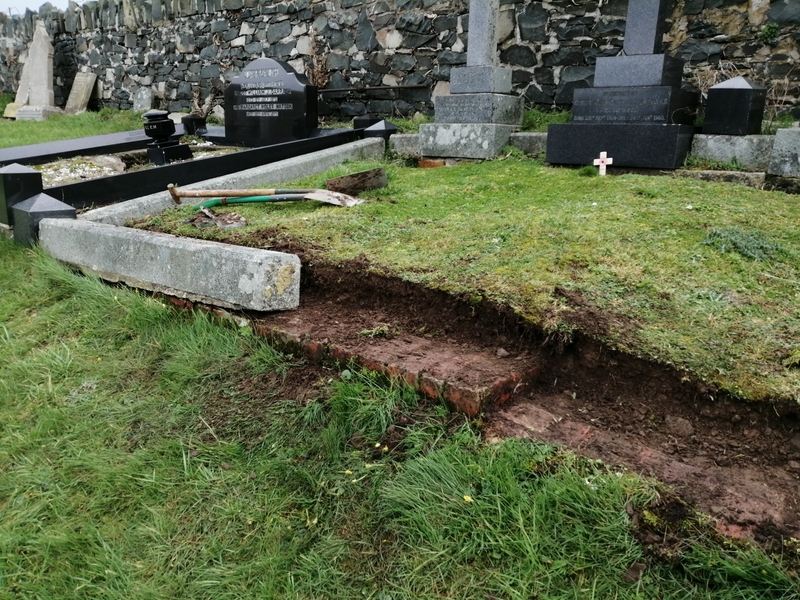 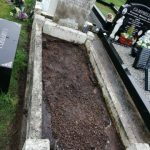 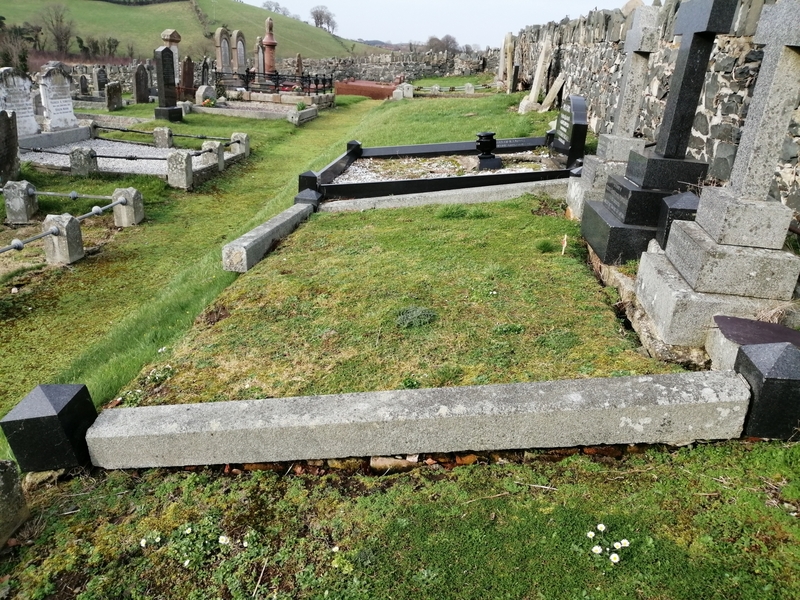 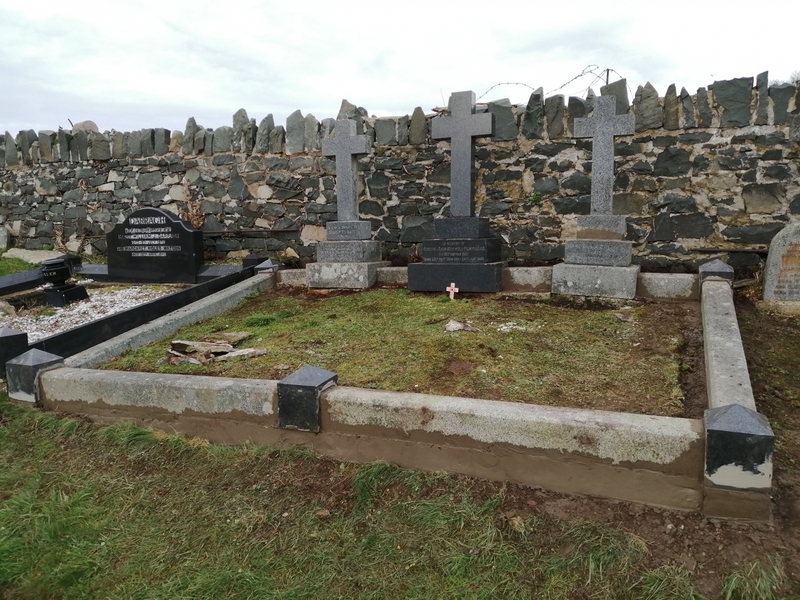 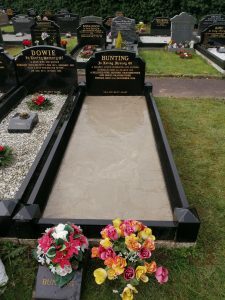 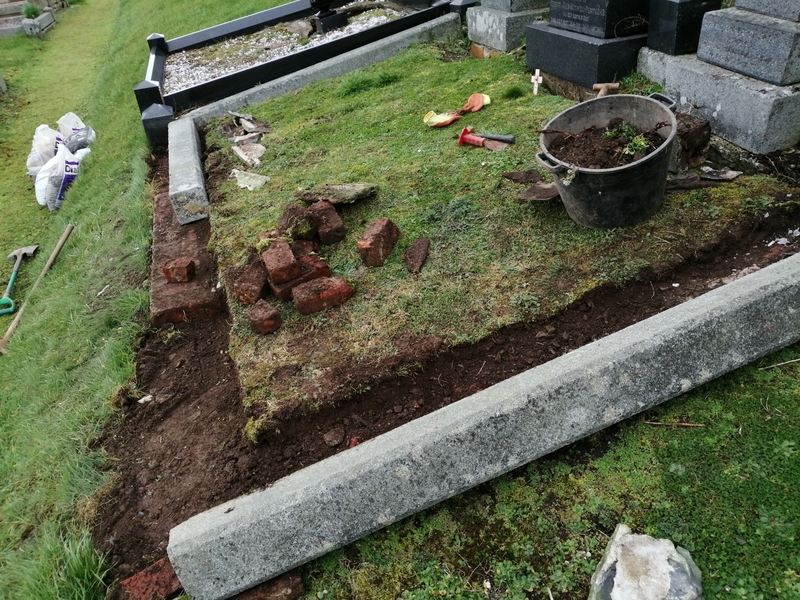 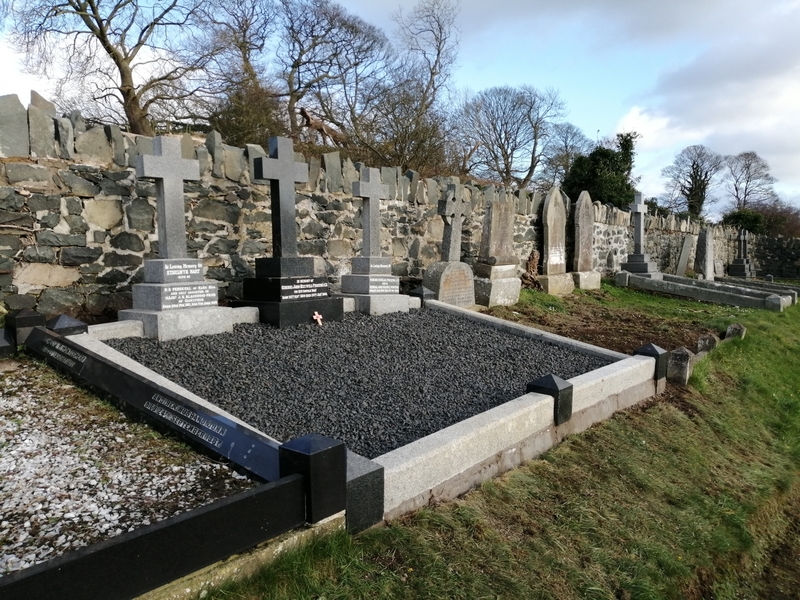 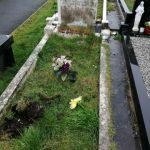 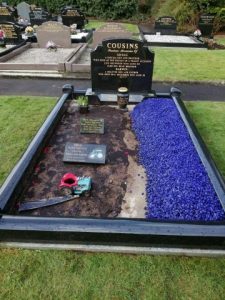 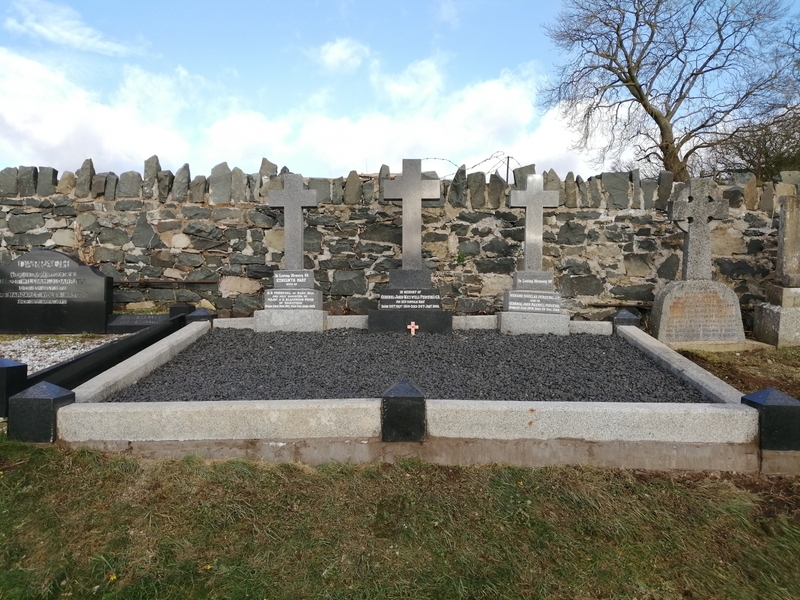 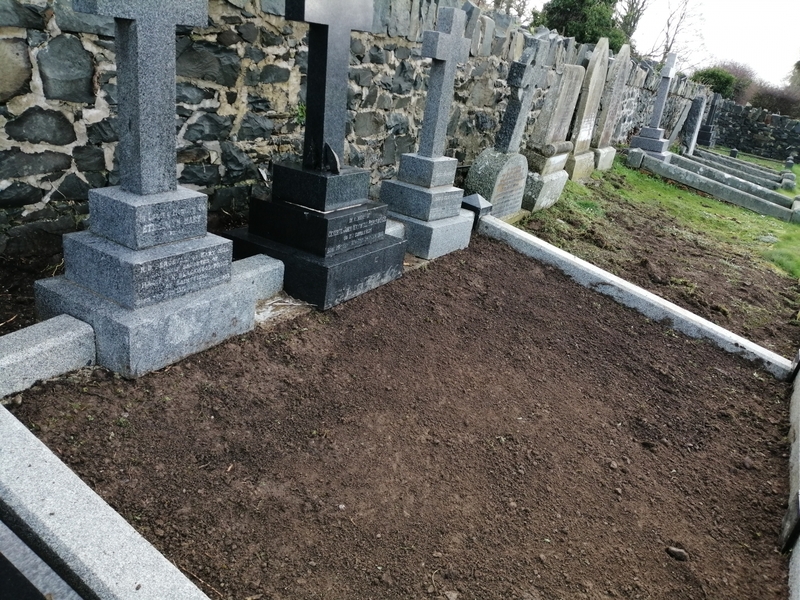 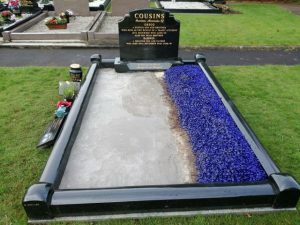 After a grave has been opened and the soil and has been allowed to settled, it is then time for the interior to be re-capped or re-sealed before the decorative stones can be placed back again. 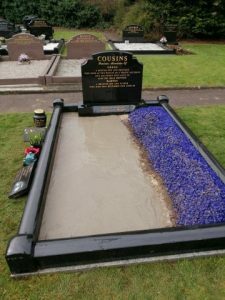 The standard process begins with the grave being levelled and usually stones added to help with drainage. 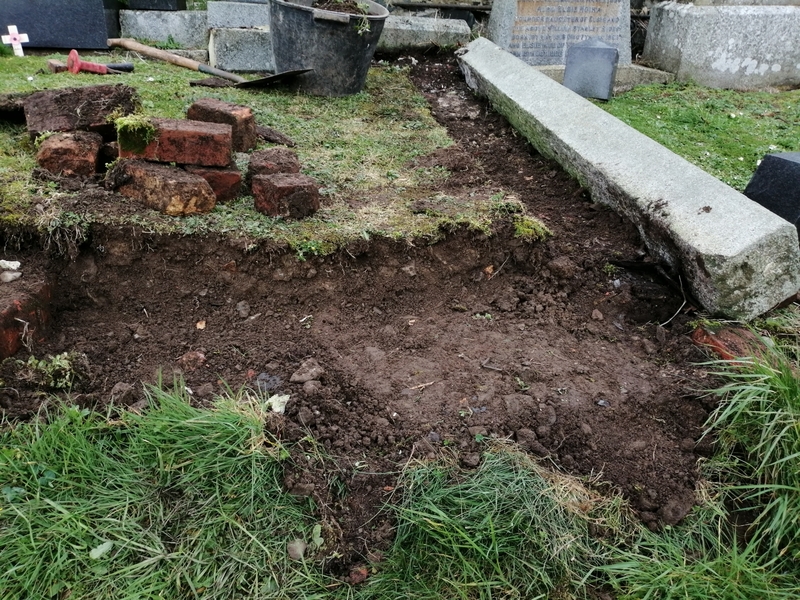 The levelled area is then recapped with re-inforced concrete and left for at least a few days to "cure" before the colourful decorative stones are added. 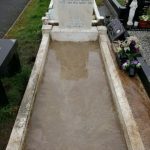 This makeover usually costs approx £100 dependent on size of grave and the amount of preparation time. 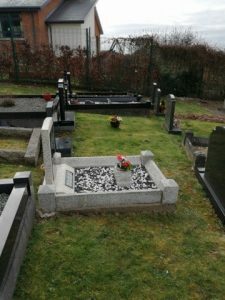 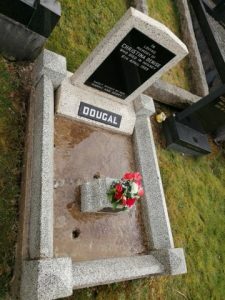 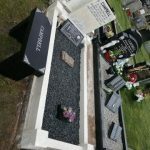 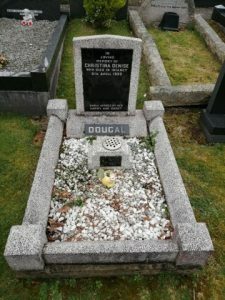 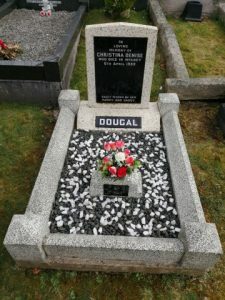 We know that your loved ones final resting place is very important to you and we understand that there are many reasons why you may not be able to visit and maintain the site as often as you would like…………Whether it's today’s hectic lifestyle, physically unable, or simply live too far away. Whatever the reason, we are here to help. 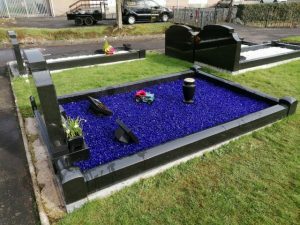 From seasonal to monthly visits, we will take care of your loved ones resting place with the respect they deserve. 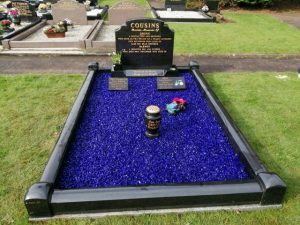 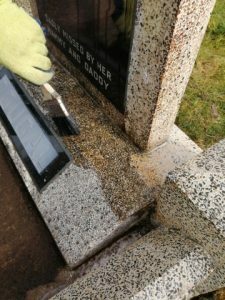 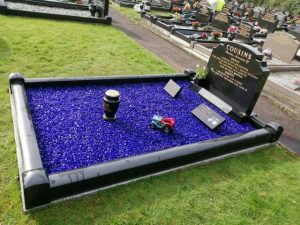 We offer a full renovation and makeover service which includes stone cleaning / headstone lettering repainting / recapping- re-concreting interiors and also adding new decorative stones. 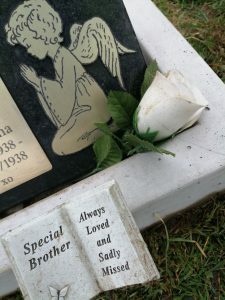 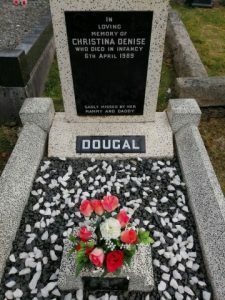 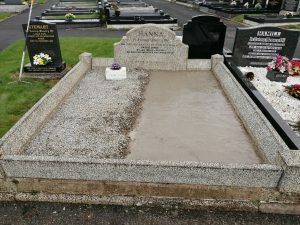 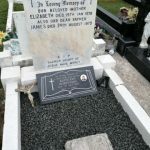 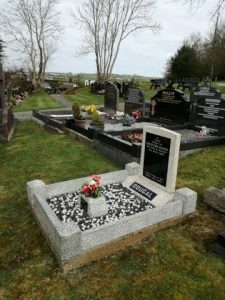 Our work area includes all of Northern Ireland cemeteries and into the Republic of Ireland.